Twenty four thousand nine hundred one and one half miles. This is the distance around the world at the equator. January 10, 2016 to July 1, 2016 is one hundred seventy three days. Poptart Travels turned one hundred seventy four days old today and also travelled the equivalent of around the world. 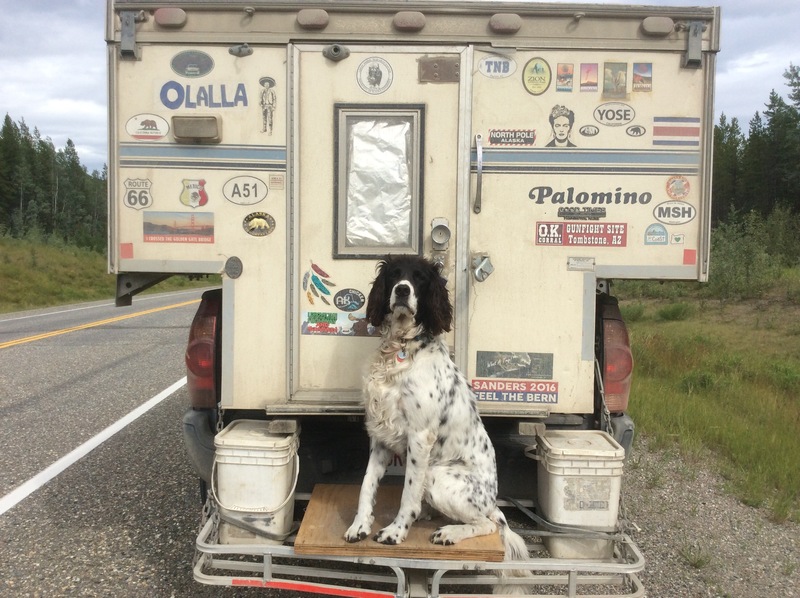 It happened late in the afternoon about sixty miles west of Lliard Hot Springs, in British Columbia, on the Alaska Highway. 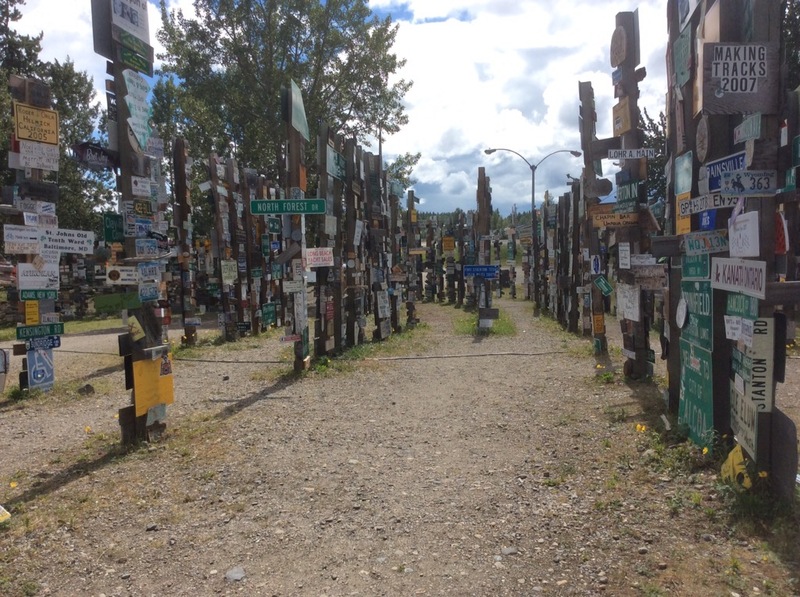 After seventeen border crossings, six time zones, two oceans, two seas, endless beaches and countless rivers, we arrived at a spot on the highway that had very few distinguishing features. 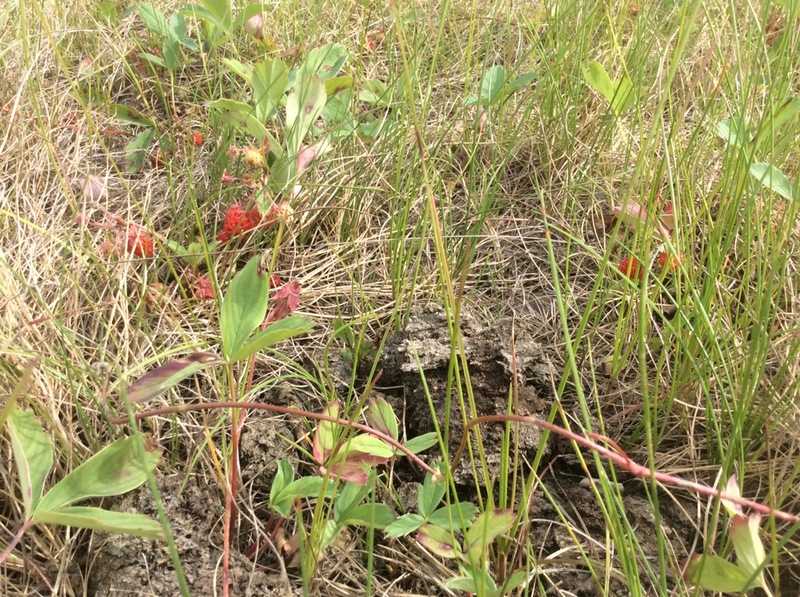 Wild strawberries were in abundance on the side of the road. We had a celebratory kiss and drank our last bottle of. St. Pauli Girl beer. We took some photos and sent a thumbs up through our SPOT. Below: Celebrating with wild strawberries and Buffalo pie. Below: Finn poses to celebrate an accomplishment only very few dogs can lay claim to. It is Canada Day today. 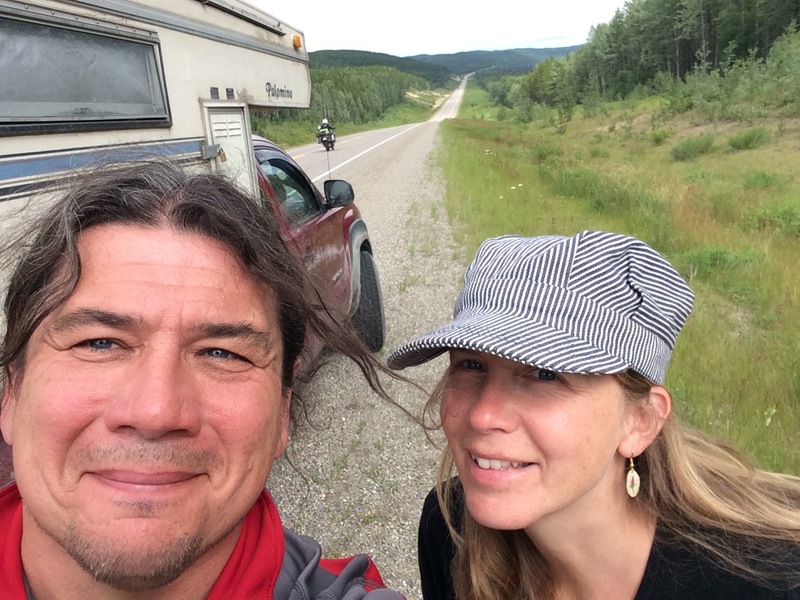 We started out by forgetting to fill up our gas and coasting into a station on vapours. 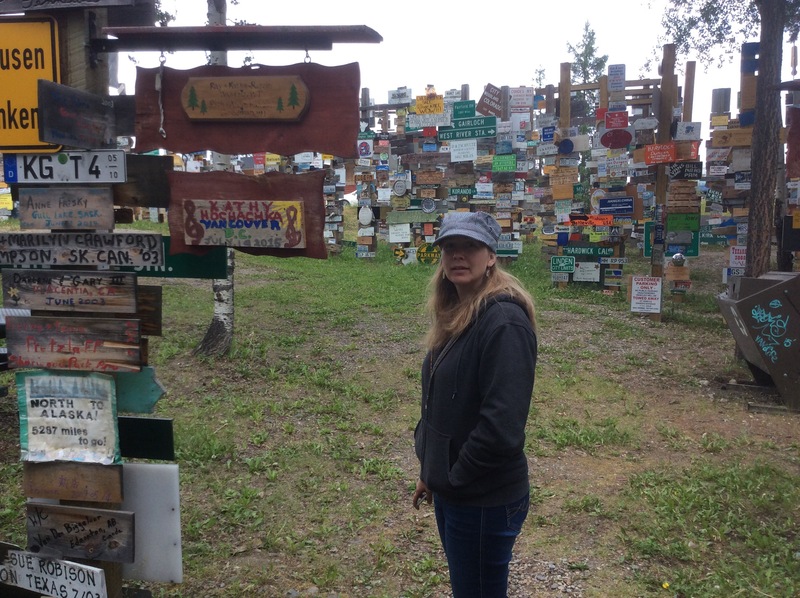 We stopped at Watson Lake and viewed the very quirky yet overwhelming Sign Forest, that has over eighty three thousand signs from all over the world and is growing. We had no idea it was there. We saw the local Canada Day Celebration, with firefighters hosing kids at a lake beach that had a water slide going right into the lake. They also had a llama and a miniature horse. Driving on we saw the first of ten wild buffalo on or near the road. (I still cannot bring myself to call them Bison). 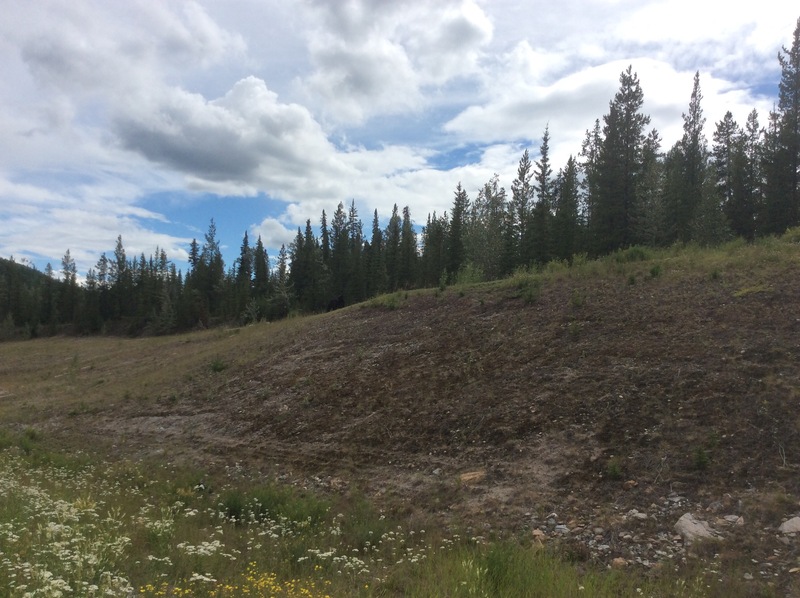 We saw three very health looking black bears at different spots along the road today. They were eating wild strawberries. We saw a fox. 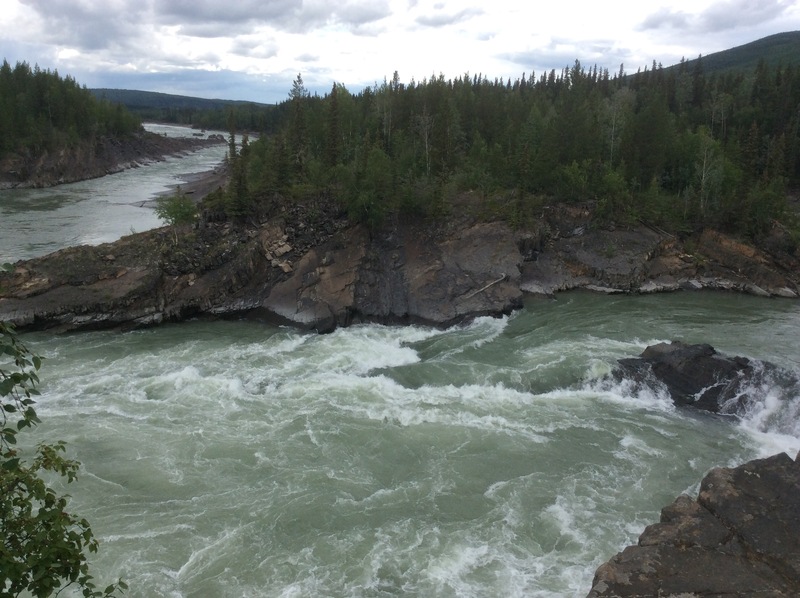 We saw an impressive rapids. Below: Can you spot the bear? We pulled into camp and almost immediately Paula found a four leafed clover. She gave it to me. The camp attendant volunteered to watch Finn. We visited the Lliard Hot Springs. It was quite hot and quite relaxing. My skin is soft as a baby’s right now. 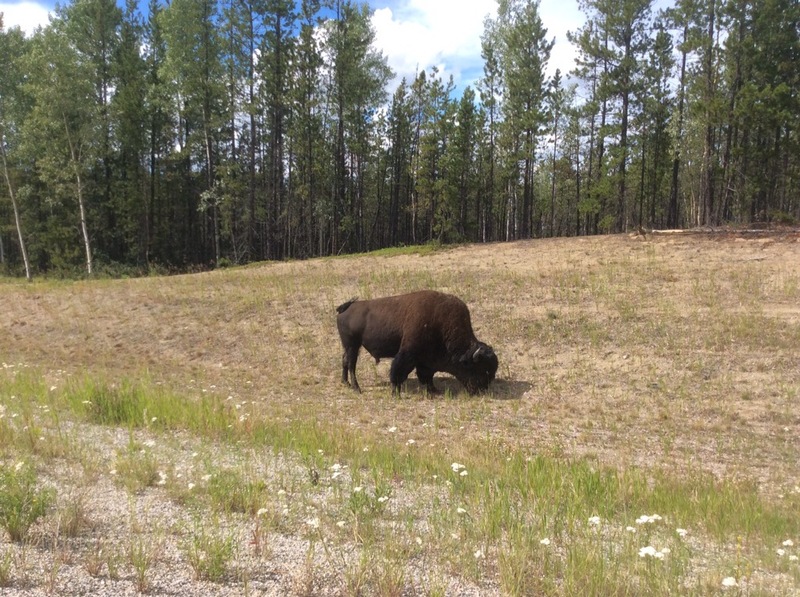 The tenth buffalo is grazing about a hundred yards away and the toasted tomato sandwiches, salad and tea we had for supper was just right. I tucked the clover in my journal. A mouse just scurried under the truck tire . It poked its head out by the step, stood on its tiny haunches and sniffed around. It said goodnight, then zipped away.